Giant Boar Hunting is a Sport Dating Back to the Dawn of time. Men tried there courage and bravery when they went forth to hunt and slay this challenging beast. Today you can experience all the fun and excitement of hunting dangerous game without leaving North America. There is an incredible fascination between hunter and beast. Especially when you go head to head when boar hunting. Boar Hunting is a fantastic way to spend an autumn weekend in the forest. Genuine Wild Boar are a powerful beasts. Boar Hunting can be a great challenge but fun to master. Hunting in the fall makes spot and stock very difficult but very rewarding as well. The fall also makes these wild pigs unpredictable with the autumn rut. The Giant Boar of the Great Northern Forest are unpredictable by nature. The autumn rut adds to this and the hunter must be careful when stepping into the wild boars lair. The boars are very rowdy this time of year and you can hear small fights breaking out throughout the hunting grounds as they battle for dominance. Practice makes perfect – Giant Boar don’t fear lead. Only perfect shots take these beasts down. Having your weapon sighted in for a good kill shot is crucial. Even a powerful weapon such as the 45-70 Government needs to be accurate. Large bullets such as this one are excellent for penetrating the Big Boars armor over its vitals. This “shield” has been known to stop lighter and non-penetrating bullets like nothing. The best boar hunting tip is to be prepared and shoot straight. 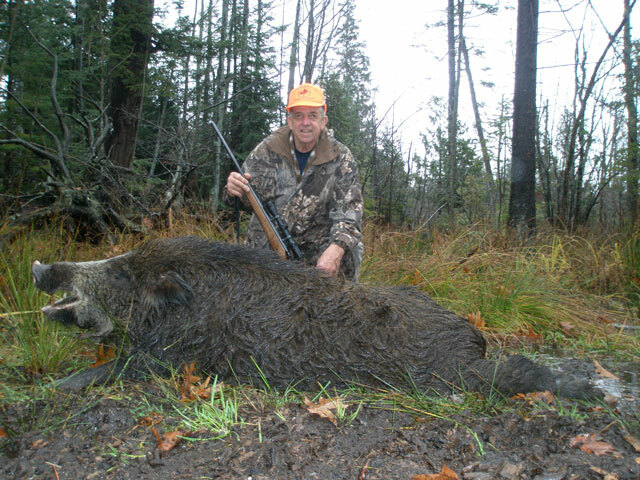 Using a high powered rifle when boar hunting is a great way to help ensure a kill. Giant Boar are generally shot up close and personal during spot and stalk hunts. The hills and valleys provide cover for hunter and prey alike. Keeping upwind and using the elevation are great ways to get in position for a shot. Rifles offer the ability to shoot more accurately at a longer distance. Though it is uncommon to shoot far in this terrain these wild boar don’t always go down with one shot, and a second shot may be required at distance, or up close. 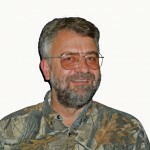 The 45-70 and 30-06 are good boar hunting rifles. 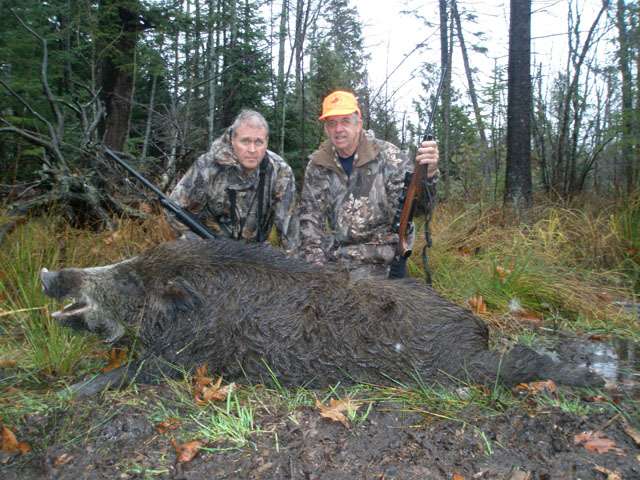 Boar hunting with a friend is a great idea – extra fire power never hurts. The unpredictability of the prey while boar hunting means you need to be prepared. Hunting with a trusted friend is a great way to have more killing power and another set of eyes for stalking. 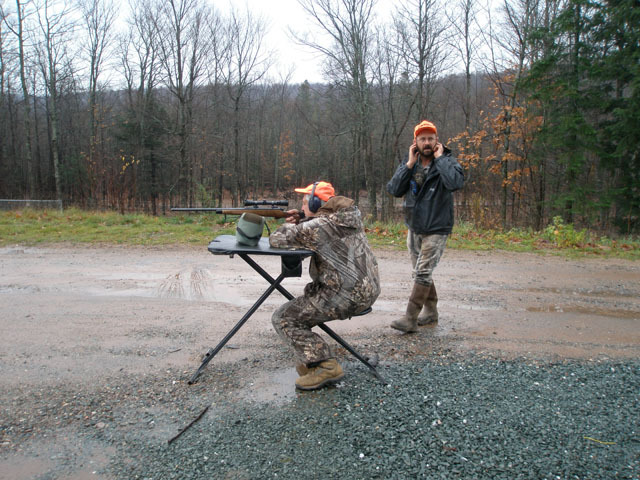 Having a partner also opens up potential other hunting tactics such as pushes. The Great Northern forest has many thick areas where boars can hide in darkness. Often times a hunter can ease into the area and when the beasts sneak out the other hunter springs his trap. Authentic Boar are a versatile animal. They enjoy many types of terrain, and each Beast brings new unique challenges to hunt them. High Powered rifles are the most common Boar hunting weapons. 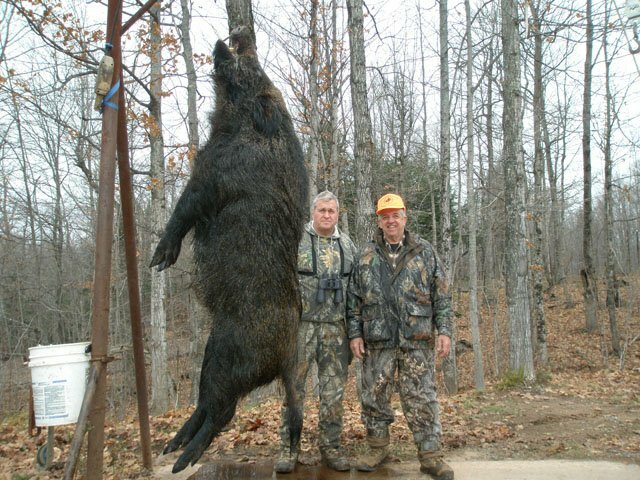 These Wild Boar are very large and the added speed and bullet weight helps to take them down. More rounds in the chamber help to keep them down. This is where the practice before the hunt and the final qualification of scope, gun, and hunter all come into play. Taking down one of these beasts is an awesome experience, but being in the woods with a wounded Big Boar can be deadly. Wild Boar are extremely unpredictable creatures. Take caution when hunting these wild pigs. 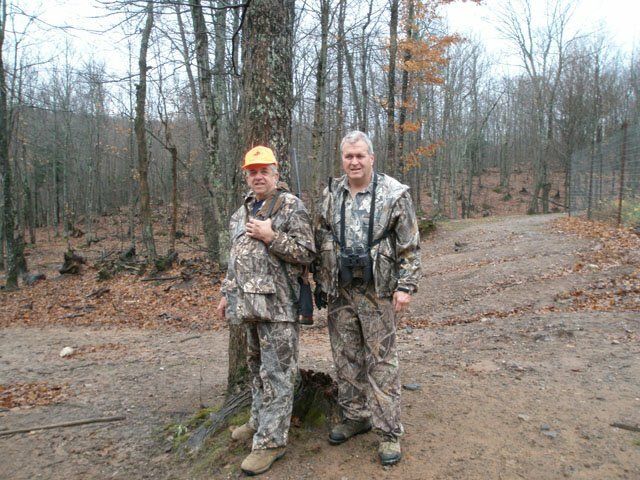 Hunting with a trusted friend not only makes for better memories, it makes hunting unpredictable wild boar safer. The areas wild hogs operate in are often thick with trees such as alders and cedars. Many times the areas are difficult to enter and maneuver through. The pigs on the other hands excel in these areas. While wild boars do well in most terrain the low cover in these areas is perfect for them. The darkness of the forest and stumps help to break up there shapes and make a still wild pig difficult to see. The weather in the fall is much like the pigs – unpredictable. It is hard to predict what it will be in the next half hour. Lake Superior to the north ensures that strong weather could be around any corner this time of year. 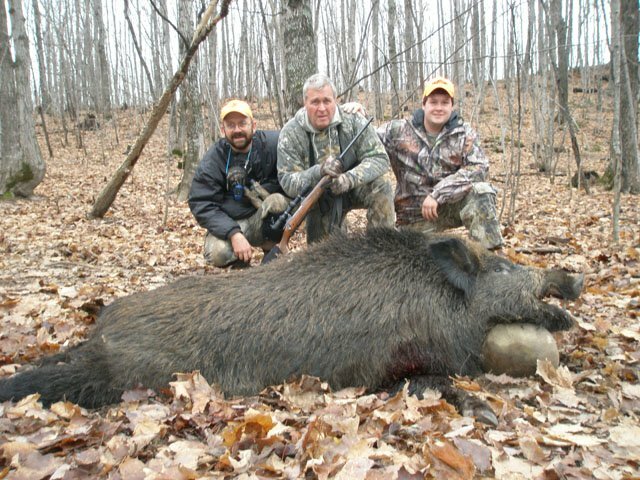 Boar hunting takes place in all terrain and weather, but hunting style must be adjusted for each. Rain can give advantages of added noise and softened steps, allowing a boar hunter to move silent through the forest. Strong winds can blow scent farther much faster than anticipated. Crisp air and grey skies are common hunting in the fall. It is this time of year when most hunters itch to get in the woods and slay the mighty beasts in the Northern Forest. Stalking prey from a ridge is a classic hunting technique that dates back to the dawn of time. As this boar moved through the forest our hunter waited steady for a small clearing just in front of the boar. When the boar stepped into the opening the shot was quick. The wild boar dropped in his tracks to a perfect shot. Bringing backup helps to ensure success on a boar hunt. Hunting is best done with good friends and family. Memories made while hunting can last a life time and be passed on over the years. 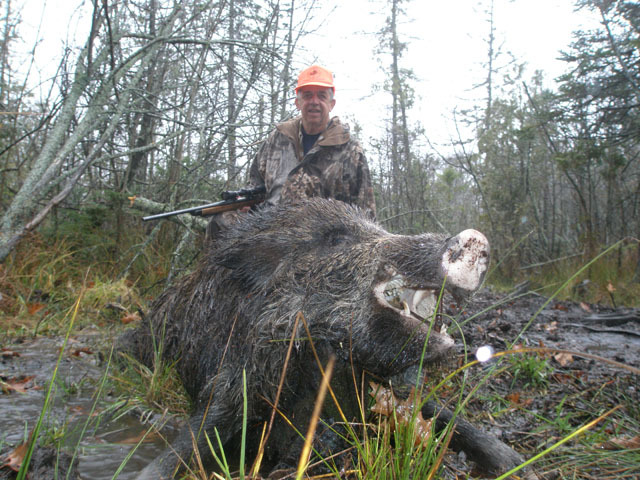 Boar Hunting Wild Pigs in the Great Northern Forest can never be forgotten. Slaying the beast and bringing home the harvest is a fulfilling experience. Hunters are lucky that they get to experience this. 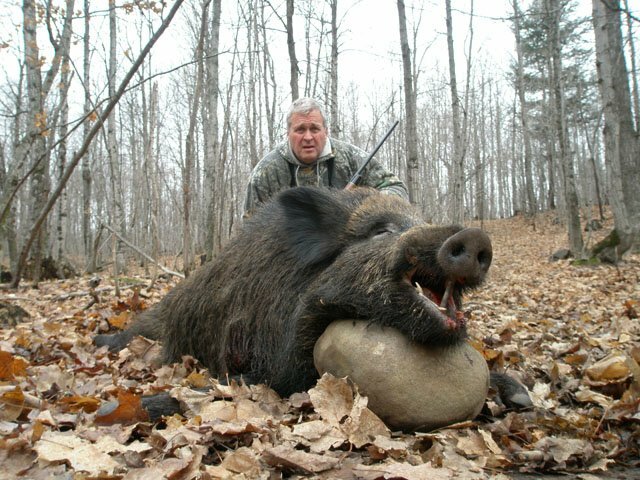 Boar hunting is especially unique, not many animals are as unpredictable as a large boar. 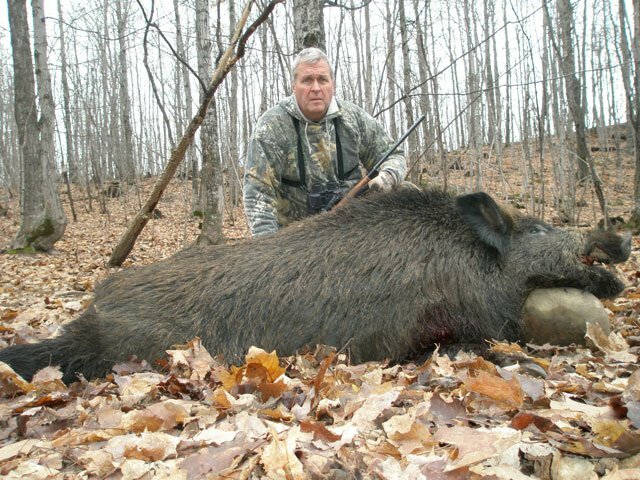 Boar hunting with guides can help increase the success and safety of a hunt. Hunting is also a great way to make new friends. 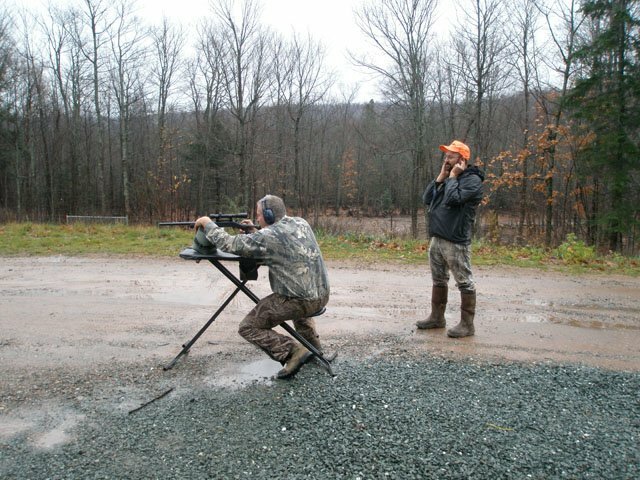 Using a guide during your hunting adventure can bring a huge advantage. Having someone who knows the terrain and the beast is an advantage not to be taken lightly. Every hunt is different and adapting your unique skill set to the situation is key. Knowing where the boars are allows you to plan your hunt ahead of time and increase the chance of success by playing to your strengths. Hunting is always best when done with a good friend. This is where the memories are made. The beast is slayed, the stalk and shot are retold for all to hear. Congratulations and high-fives are shared. The beast is slayed and the hunter stands in triumph over his prey. A successful hunt is talked about between friends for many years to follow. Times spent in the woods are different than other places, it has a pull that keeps bringing hunters back each year. Boar Hunting is incredibly exciting and rewarding. 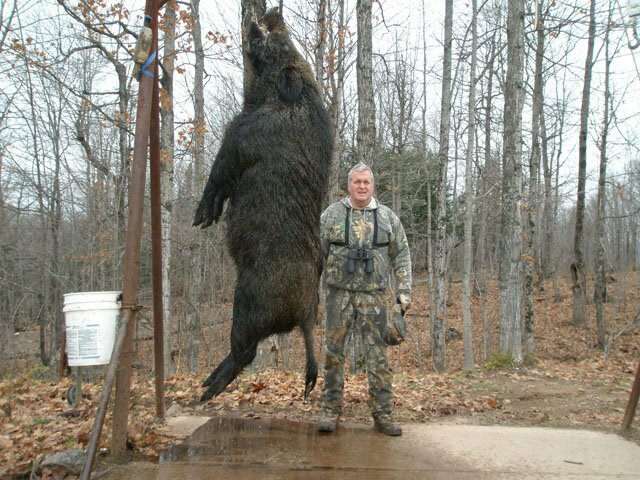 Large Wild Boar are hard to take down with a single shot. They have defenses that make them tough, and an attitude you don’t want to test. (Oh Yes you will) They are a large animal that provides the hunter, his friends, and family with delicious meals for many days to come, as well as stories that last a life time. 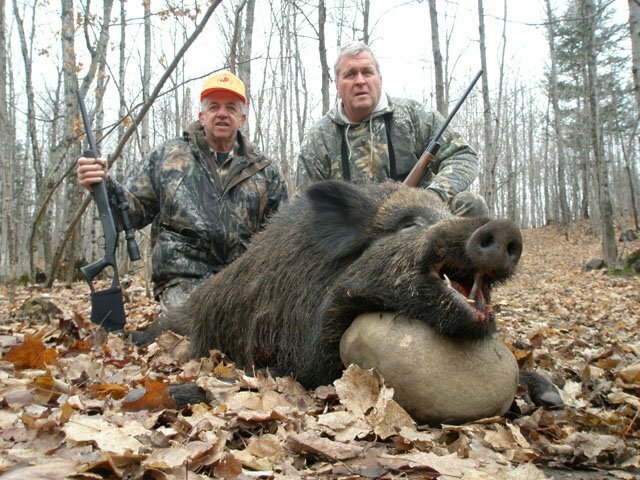 All boar hunting trips are memorable, but each one is special and adds new and exciting memories.